Justin Gatlin has fired his coach Dennis Mitchell after he was recorded allegedly offering to supply performance-enhancing drugs to undercover reporters. Gatlin, booed after returning from two doping suspensions to win the 100 meter title at the International Association of Athletics Federations (IAAF) World Championships in London this year, insists he has done nothing wrong and has taken swift action to distance himself from his coach. Undercover reporters from The Daily Telegraph contacted Mitchell, Gatlin’s coach, and his track agent Robert Wagner about obtaining human growth hormone and testosterone. Wagner was filmed allegedly claiming he could supply drugs and Mitchell is alleged to have spoken about “complex” designer drugs which are unknown to the authorities and do not show in drugs tests. Wagner is also quoted as having named sport stars using drugs, including both Gatlin and Mitchell. This has already been strongly denied by Gatlin’s representatives. 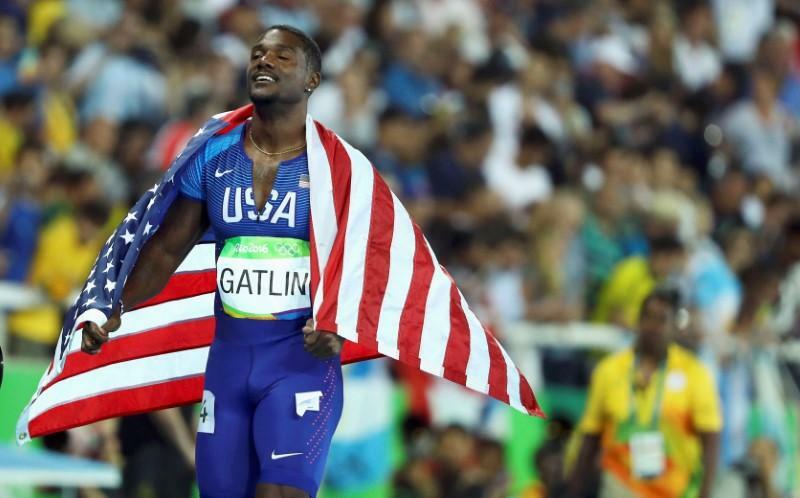 “I am not using and have not used PED’s,” Gatlin said in a statement published on Instagram today. “I was shocked and surprised to learn that my coach would have anything to do with even the appearance of these current accusations. “I fired him as soon as I found out about this. The 35-year-old received a two-year ban, reduced on a appeal, after a positive test for amphetamines in 2001 before a second suspension, reduced to eight and then four years, after a failure for testosterone. He has always denied wrongdoing and attempted unsuccessfully to blame his second failure on a masseuse for rubbing cream containing the banned substance onto his back. He and Wagner were targeted by undercover reporters posing as representatives of a film company with a budget of $250,000 to secure drugs to make an actor look like an athlete. “There’s the simple easy stuff, and then it goes all the way up to very complex things,” Mitchell was recorded as saying about “designer” drugs. “The complex things are safe in terms of getting tested because they can’t find it. Wagner, though, was quoted as saying: “You think Justin is not doing this [doping]? “Do you think Dennis [Mitchell] wasn’t doing this? Renaldo Nehemiah, Gatlin’s agent, has since claimed that Wagner had only worked for Gatlin on two or three occasions. The IAAF have already said that an investigation will be launched through their new Integrity Unit. “These allegations are extremely serious and I know the independent Athletics Integrity Unit [AIU] will investigate in accordance with its mandate,” said the world governing body’s President Sebastian Coe. “Under the IAAF rules, all athlete support personnel – agents, coaches etc – are bound by both the IAAF Anti-Doping Code and IAAF Integrity Code of Conduct. “The IAAF Anti-Doping Code and Code of Conduct. applies not just to athletes, but also athlete support personnel,” he added. “The AIU will be investigating this matter in co-operation with USADA. “The use of new methodologies and designer drugs has always been a challenge for the anti-doping movement and this continues to this day.